There are many reasons that visitors come to a camp. They might be the location, amenities, programming, or a combination of these features, but it’s most likely not for the water or wastewater-treatment system. 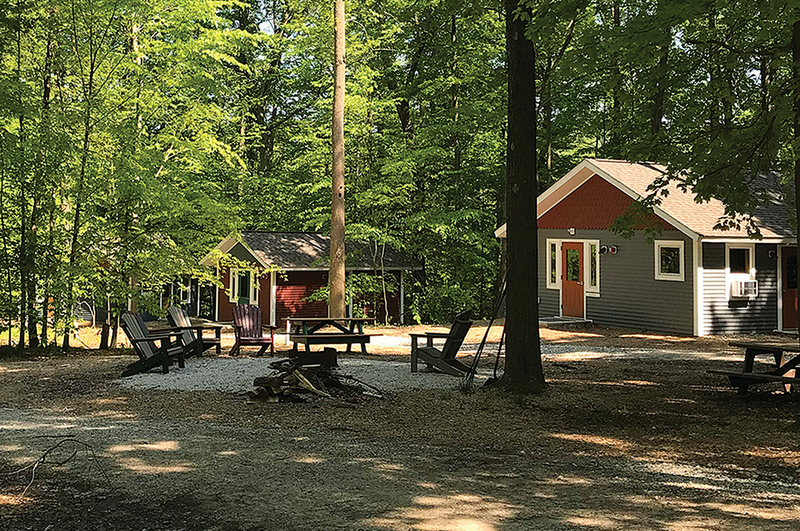 However, when tough budgetary decisions are to be made, some camp directors may find themselves asking, “Is it nice or is it necessary?” Owners, directors, and operators of camps are responsible for finding the balance between what will drive revenue and the infrastructure that makes it all work. But what if you didn’t have to choose? What if you could have the nice amenities that attract paying customers, the necessary infrastructure to make sure it works, and extra dollars too? The installation, operation, and maintenance of critically important drinking water and wastewater infrastructure can be very costly, and are likely the most necessary services provided at a camp. But if you surveyed visitors on what they would like to see, the infrastructure for drinking water and wastewater systems would probably rank last. With regulations changing over the years, more and more camps have had to install centralized water and wastewater-treatment systems to remain in compliance. So, what does that mean for other camps? With a centralized water-treatment system or a wastewater-treatment system, the basic premise is similar. With the former, a treatment plant with water lines distributes the drinking water to serve the facilities in the camp. With the latter, a plant that is fed by a sanitary collection system captures and directs the wastewater for proper treatment before discharging it into a nearby creek or stream. The investment is typically quite costly, which can—and often does—divert dollars away from planned investments for the camp. In working with recreational camps and campgrounds that are facing the challenge of investing in necessary infrastructure to meet changing regulations, I have found the biggest issue is regulatory standards that don’t reflect the historical water usage experienced by the camp. Most regulatory agencies have standards that define how much water a camper or individual campsite will typically use on a daily basis. These standards determine the volume of water that must be produced, treated, and delivered as drinking water, and then collected and treated as wastewater. However, the regulatory standards for water usage can double the actual amount needed for a camp or campground in some cases. So, how does that affect the budget? The overestimates using the standard daily-usage rates have led to building systems for camps and campgrounds that are larger and more expensive than needed. Fortunately, there is a methodology to demonstrate the water usage for a camp or campground that allows the camp to install smaller treatment plants than typically required. Working closely with the regulatory agency and having a proven track record of accuracy in these findings have saved some camp clients hundreds of thousands of dollars in construction costs. The installation of a 25,000-gallon-per-day (gpd) wastewater-treatment plant provides a successful case study. Employing the regulatory standards for water usage, the plant should be sized to treat 50,000 gpd. However, after demonstrating to the regulatory agency that 25,000 gpd would suffice, a compromise was reached so that records would be kept, and if demand pushed the actual flow higher than 25,000 gpd, additional treatment at incremental 5,000 gpd segments would be installed. The bid for the treatment plant was approximately $700,000. While a 50,000 gpd treatment plant (what the standards would typically require) wouldn’t necessarily double the cost, $1.2-million is not an unreasonable estimate. That’s like finding an extra $500,000 to spend on visitor amenities instead of unnecessary infrastructure. Now let’s take a look at what can happen when a camp simply follows regulatory standards. A local campground has installed a 60,000 gpd wastewater-treatment plant because that’s “what the numbers called for.” The plant sees an actual, average daily flow of approximately 7,500 gpd. The campground is using approximately 12.5 percent of the installed infrastructure daily. Even during major events or holiday weekends, when the campground is full, the flows only reach approximately 35,000 gallons per day. The wastewater-treatment plant is nearly double what is needed. Along with the cost of building, the oversized plant requires more operations and maintenance dollars. So, along with taking construction dollars away from providing nice facilities or amenities for campers, there is the annual ongoing diversion of dollars to keep the oversized plant running properly. Ask the right questions of consultants to determine if they are merely following the standards or they are thinking “outside the box” for ways to protect the environment and enhance the camp experience. Providing necessary infrastructure is part of the eternal “Is it nice or is it necessary?” debate. But what if you can have both—and some extra money to improve campers’ experiences? That would be a win-win for a camp and its visitors! Dave McCallops, P.E., is the Director of Water Resources for Environmental Design Group in Akron, Ohio. Reach him at DMccallops@envdesigngroup.com.